Put it all together! 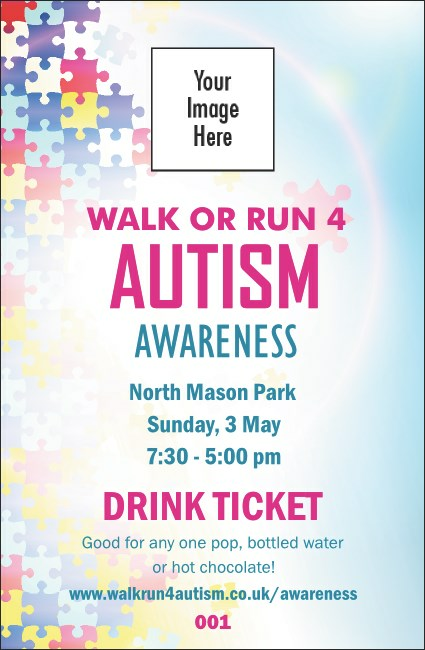 The Autism Awareness Drink Ticket is just another piece of the puzzle in your awareness campaign, one that helps you keep the drink line orderly, reward your organization's donors, and make your bartender's life a little bit easier. Upload your own design or your sponsor's logo and add that personal touch. Mind the details with UK Ticket Printing.